If you have a birthday in December, you know that it can be a busy time especially if you want to plan a party with friends. 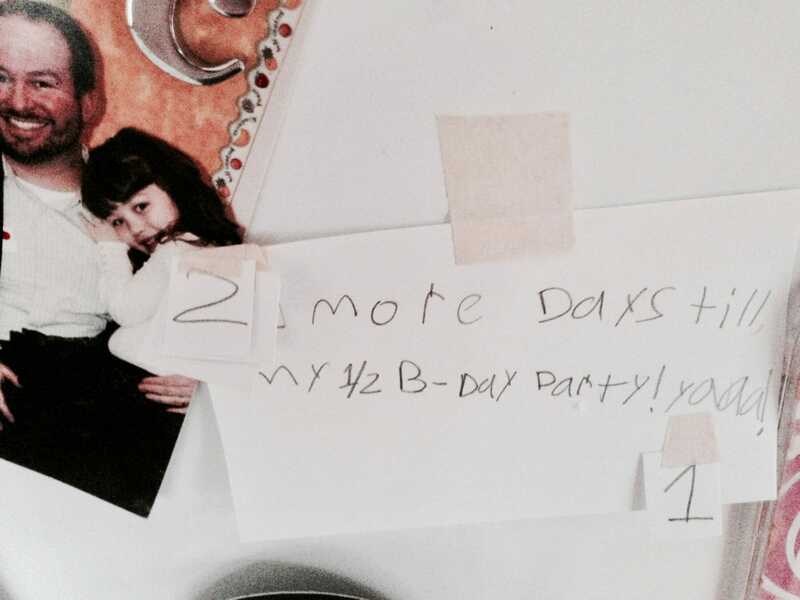 Our daughter,“D”, has this problem, so we try to plan a half-birthday party where she can have a sleep-over party. But we can’t just have a sleep-over party. 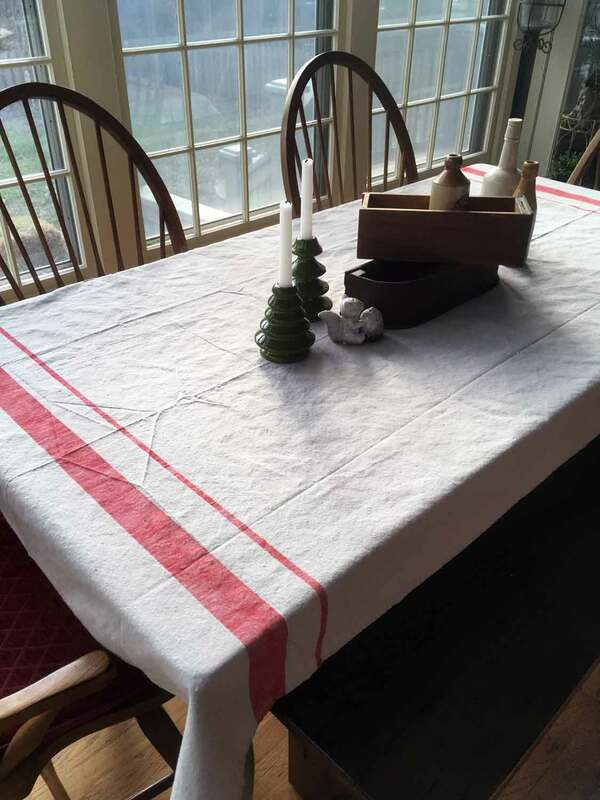 To make it special, we have to have a theme. So, here are four of our favorite kid birthday party themes and our thought for the next one (if you have ideas for it, definitely share in the comments). Many of the themes work for both boys and girls. 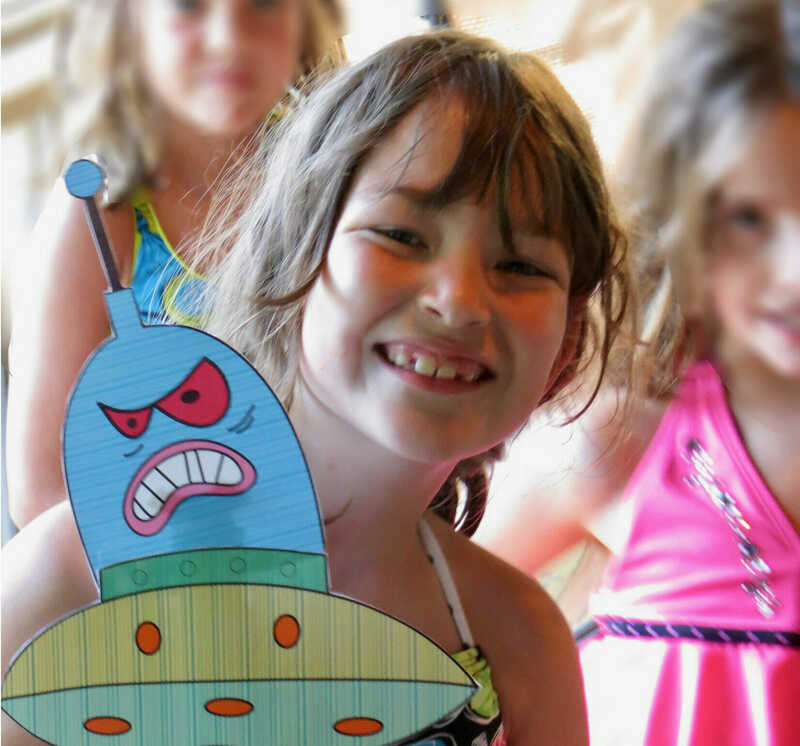 And while several of birthday party themes are based on beloved movies, a few are more generally themed. He: Looking for a place to host your birthday party? Check out your local art charity because they often host parties and have great resources. 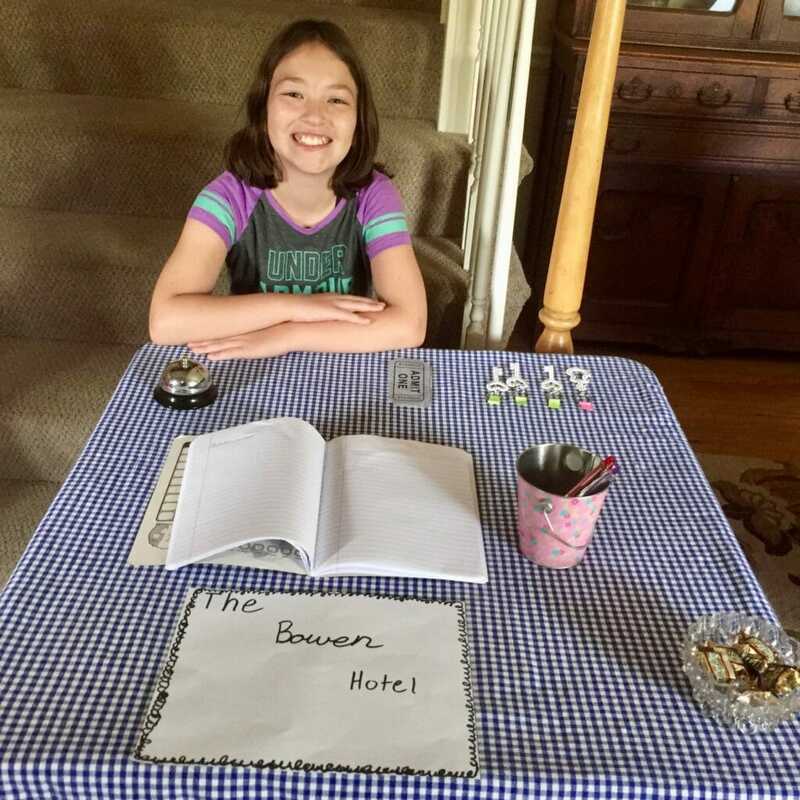 We have had a hotel party where we made the house into a B & B. “D” checked her guests in at the front door. They signed the guest book, were assigned a room number, and were given a hotel key. 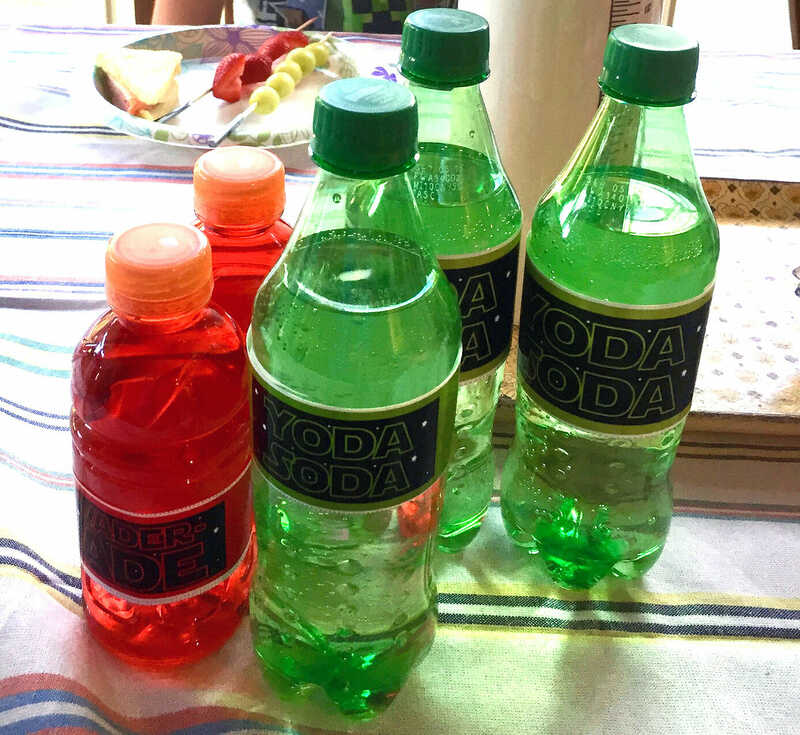 This party was fun. But it was a lot of work for mom! 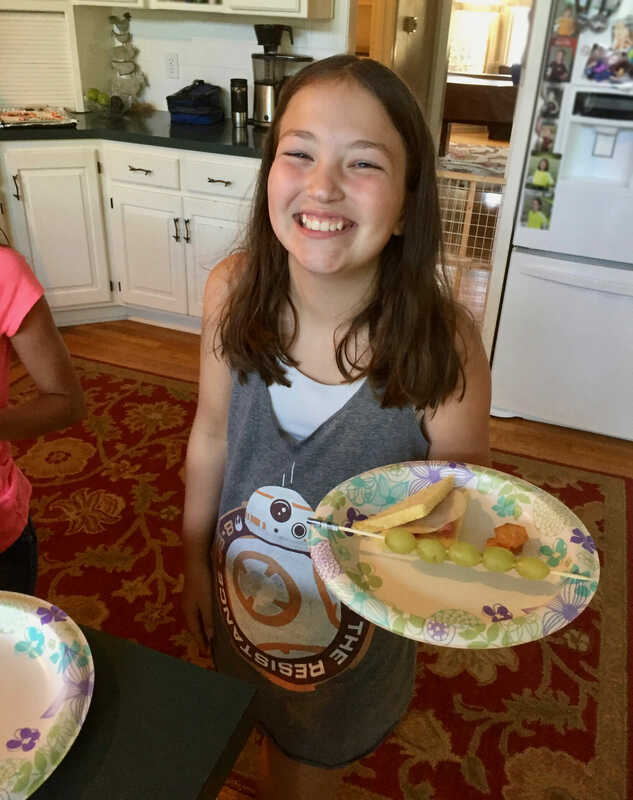 I served as the bellhop, executive chef, waitress, maid, concierge … and more. 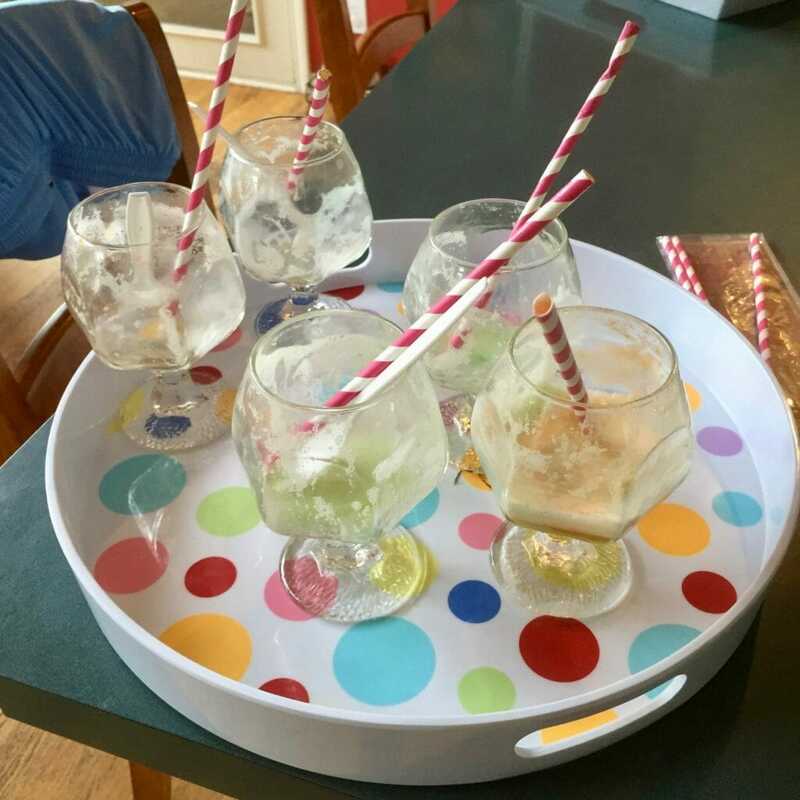 The kids just “hated” the rainbow sherbet and Sprite floats. 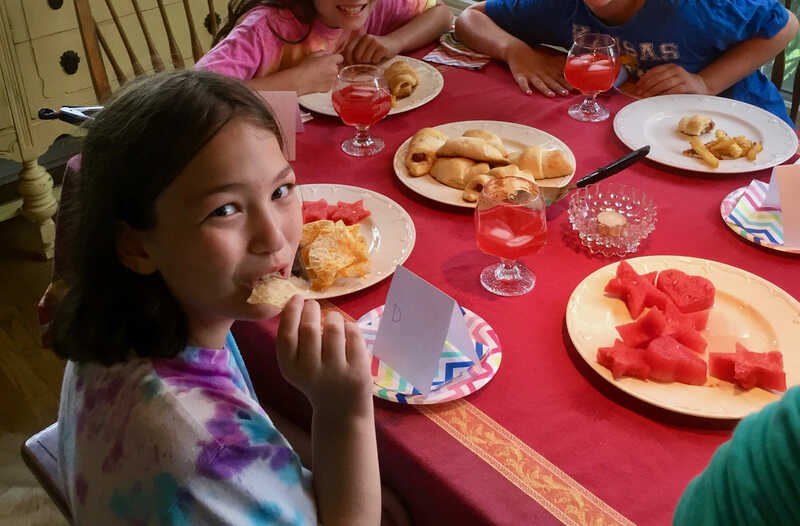 We made table name cards and served nachos, pigs in a blanket and watermelon. After dinner, “D” passed out tickets for a special B&B movie screening where we watched the movie Home. My personal favorite of the birthday party themes would have to be the Despicable Me party. We really had fun with this party. “D” even wore a Minion inspired outfit of a yellow t-shirt and royal blue shorts. 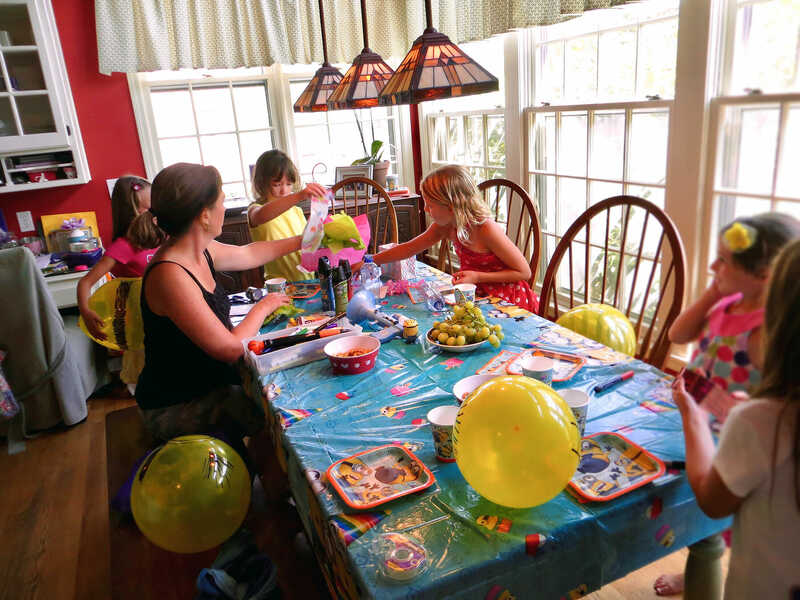 The girls drew their own minions on yellow balloons with black markers (see above). 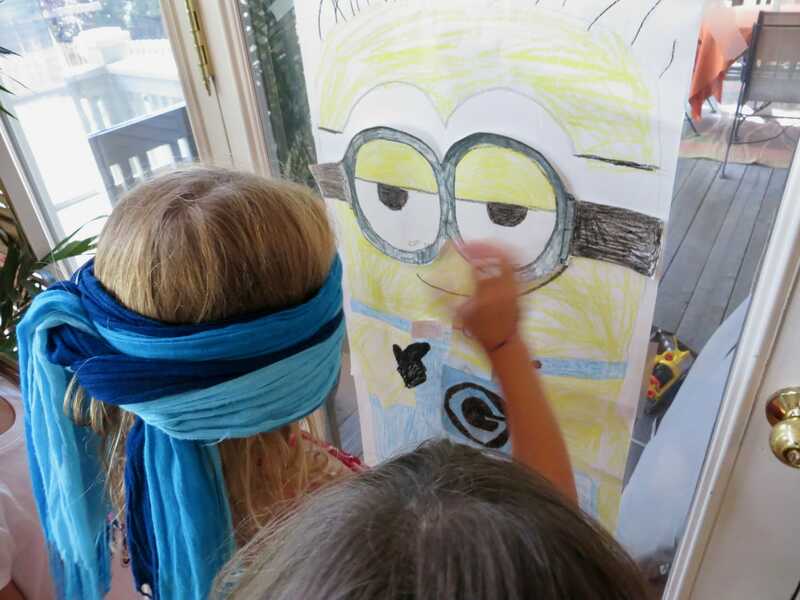 They also played pin the goggles on the minion. 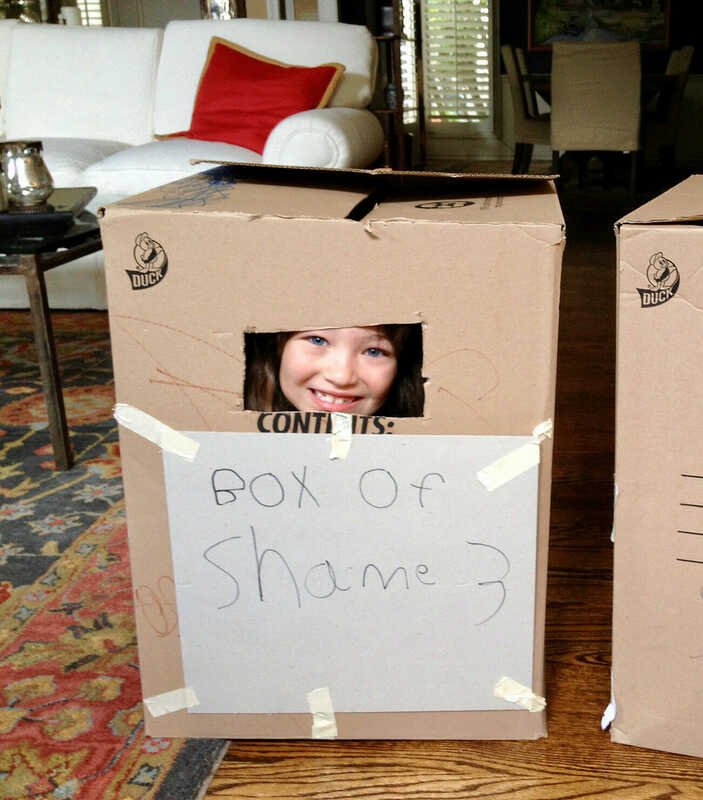 Then we put them in the “box of shame” for pictures. 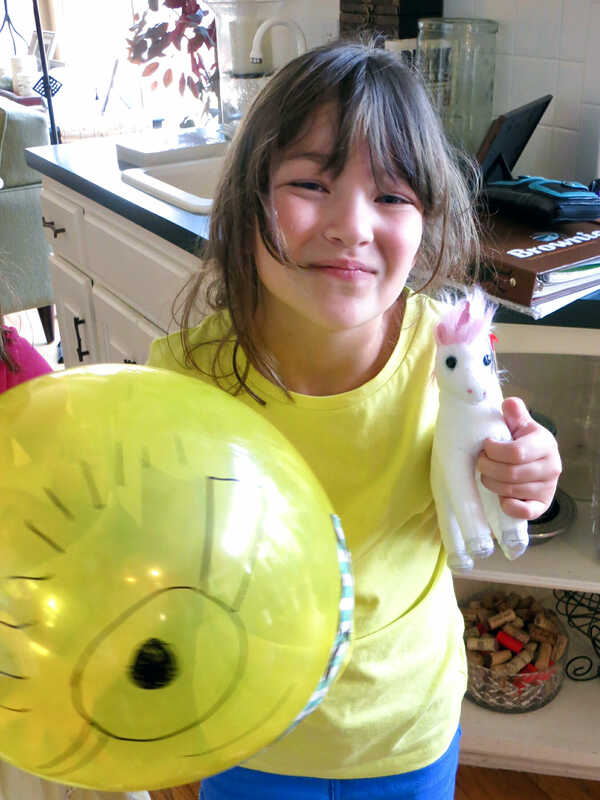 The party goers were given favors of small stuffed unicorns (“It’s SO FLUFFY!”) and plastic spiky bracelets that looked like Kyle’s dog collar. 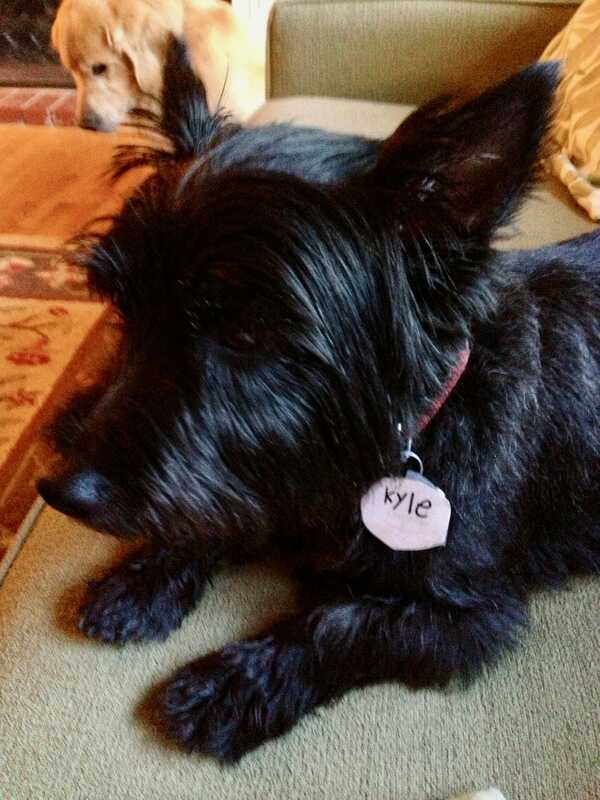 We happened to be pet sitting our neighbor’s black Cairn Terrior, so we made him a Kyle dog tag. Brent (aka “He”) printed a picture of the UFO from the booth at the fair. We attached a stick to it, and the girls got to try and shoot it with nerf guns. I also attempted to make a minion birthday cake. 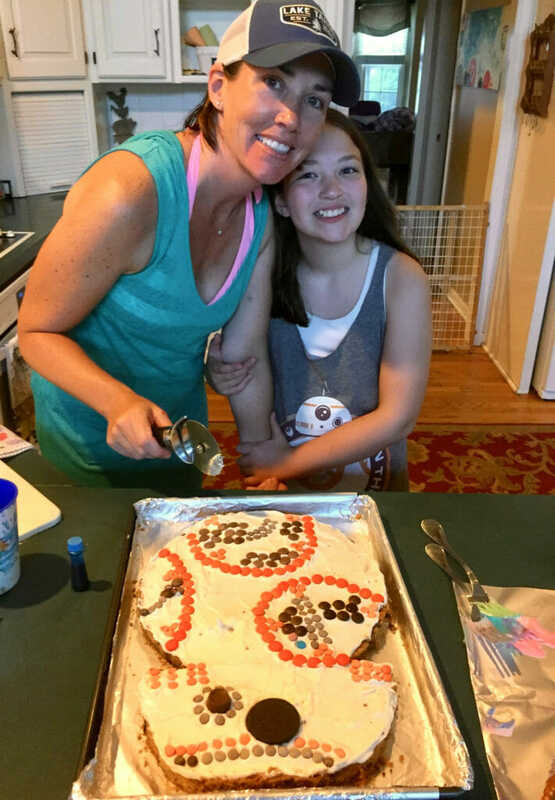 Baking and cake decorating is not my strong suit, but “D” appreciates anything we do to make her parties fun. 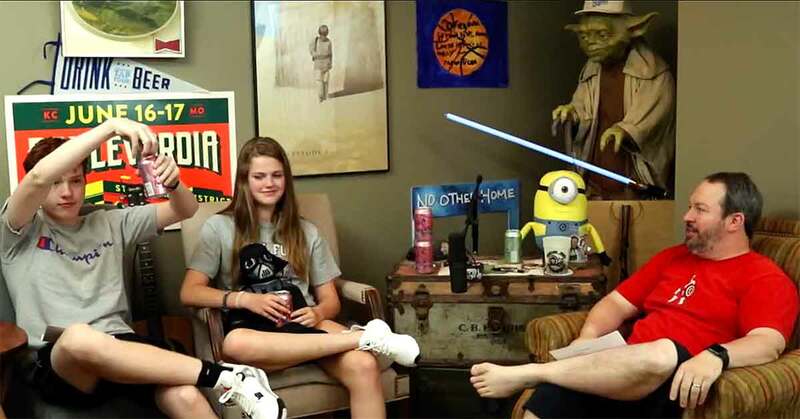 We completed the fun by gifting a Fart Gun to “D” and the girls watching Despicable Me 2. Brent’s favorite of the kid birthday party themes I’m sure was the Star Wars themed party. We made a BB8 cookie cake. 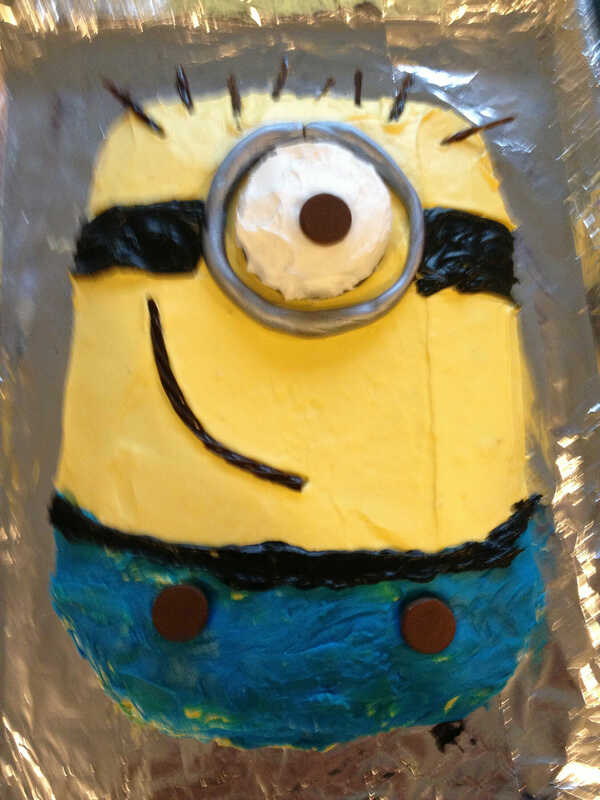 It was harder to decorate than the minion cake — again not my strong suit. 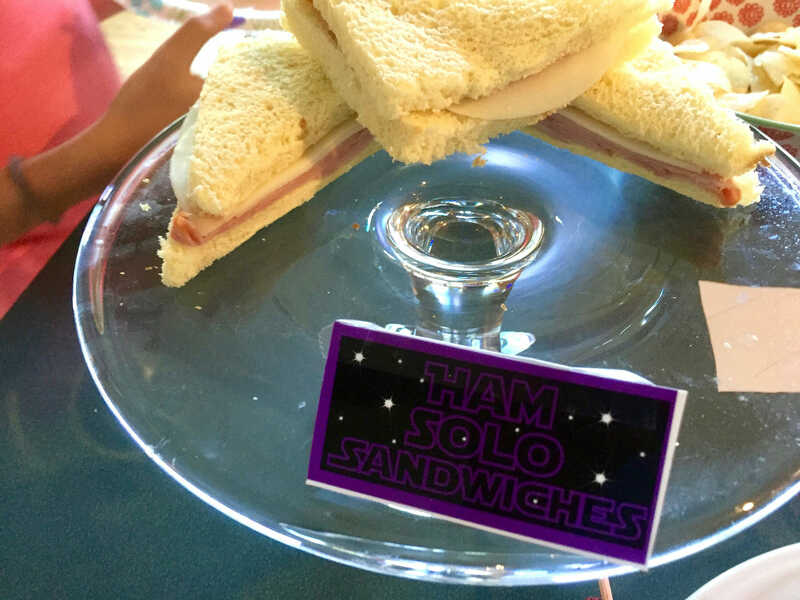 The food was all Star Wars inspired, like Yoda Soda, Vaderade, chocolate dipped pretzels made to look like lightsabers, and Ham Solo Sandwiches. 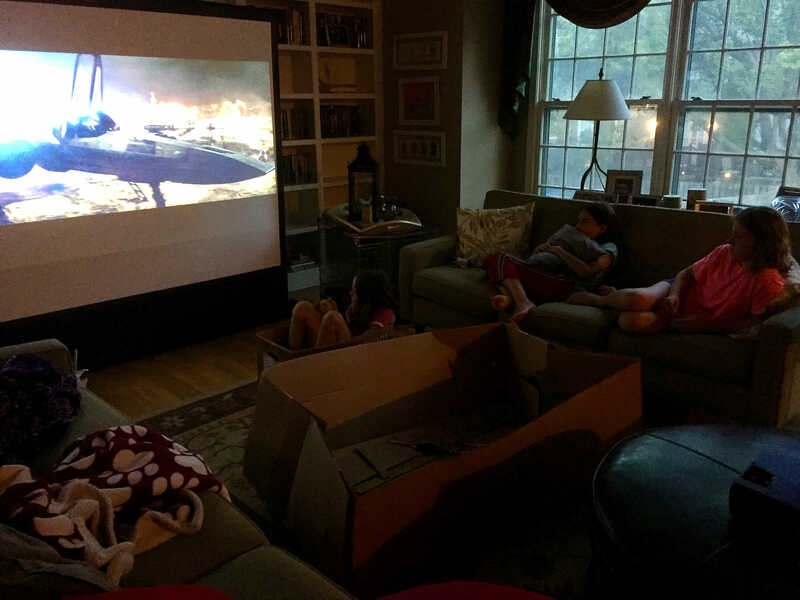 The girls took a huge cardboard box and made it into a space ship that they sat in while they watched The Force Awakens on our portable movie screen. They even enjoyed the final Star Wars Force Awakens movie credits. 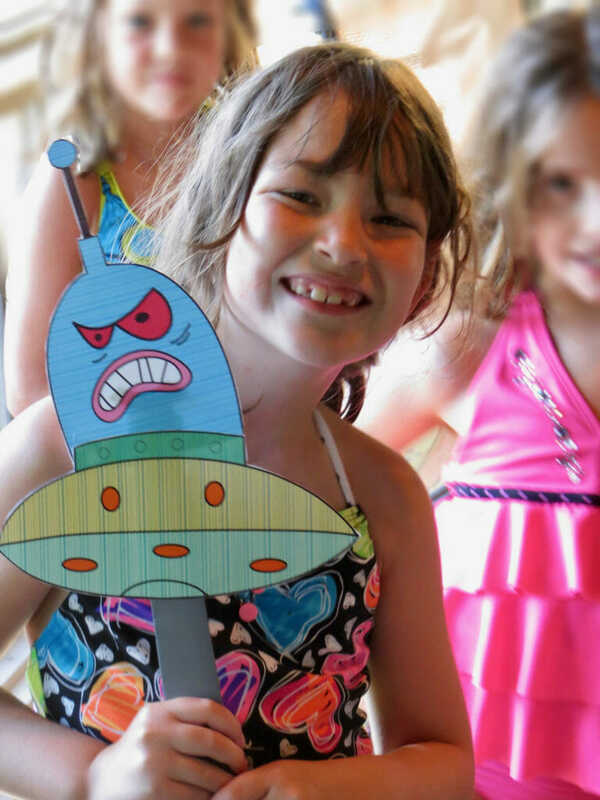 Last year, we had an Under the Sea party. We took the girls swimming at the Matt Ross Community Center in Downtown Overland Park. It’s great because it’s an indoor pool with great water slides and a lazy river. It’s the perfect back-up plan during the summer when the weather is bad. He: And that day, it felt like we were Under The Sea because it was monsoon rain. 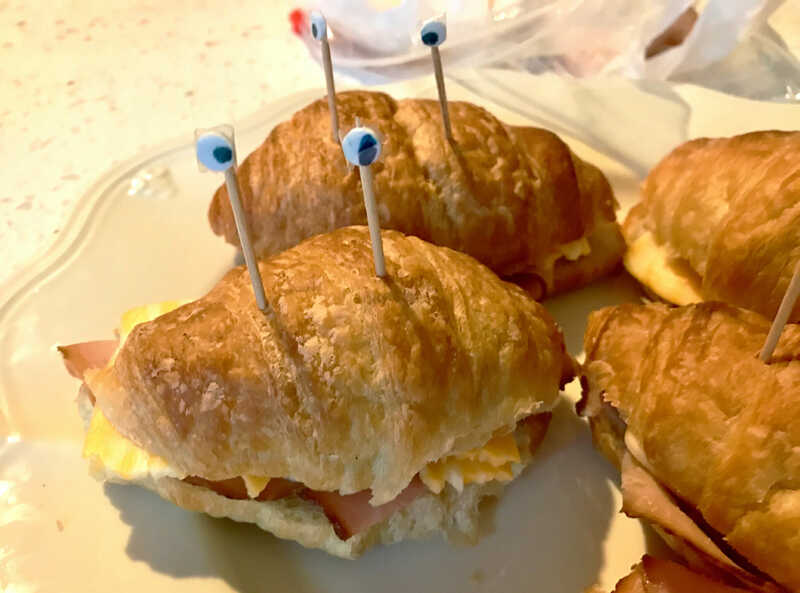 … And made croissant sandwiches to look like crabs. 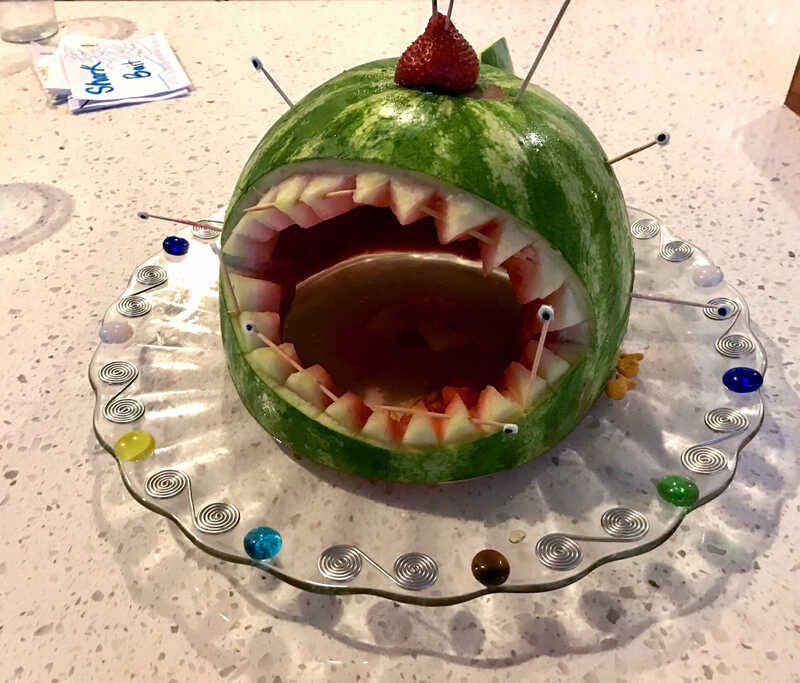 We added toothpicks with google eyes. To keep with the theme, the girls watched Moana. But they decided they were too old for Go Fish, so we deviated from the theme and played dominoes instead. This upcoming summer, we want to do a The Princess Bride half birthday party. 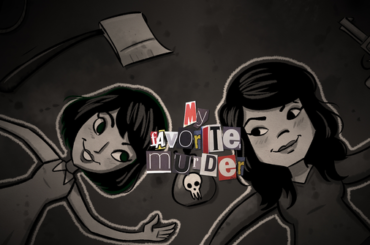 “D” loves this movie and has been looking at Pinterest for ideas. We could make rats from the Fire Swamp and serve Max’s Miracle Pill Truffles. Can’t wait! We may even pick up The Princess Bride “Prepare to Die!” card game. We have nearly a year to go until the next party, but “D” is counting down the days. 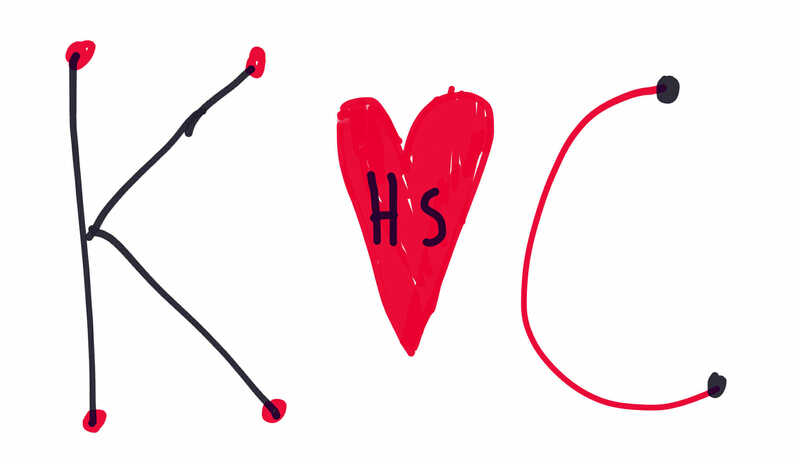 He: Though at her current age, her spelling is much better.